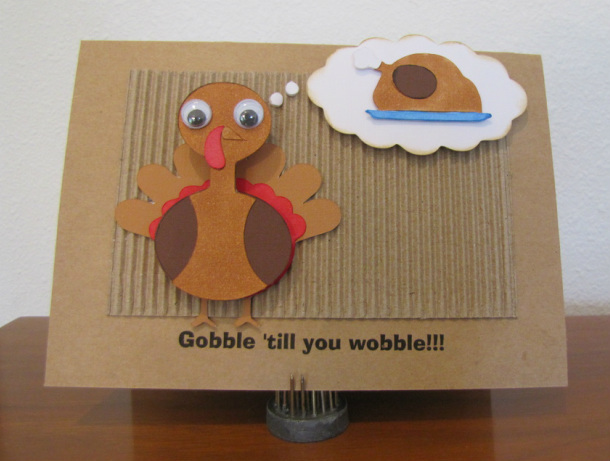 This "Tom" wobbles thinking about Thanksgiving dinner. It is made from kraft card stock, corrugated paper, an action wobble spring and die cut images. The inside is blank. The card measures 5 X 7 with envelope included. Click picture to purchase card. This father's day card tells Papa Bear to have a tree-mendous day. The card is blank inside. 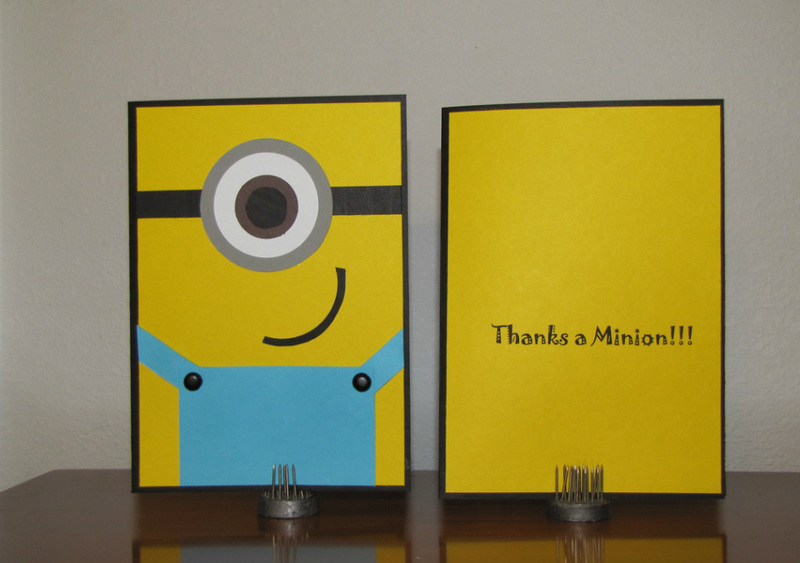 The card is made from kraft paper, corrugated paper, and colored card stock. It measures 5 X 7 and comes with a kraft envelope. It's only $2.00. Click here for purchase information.